This article is intended to guide system administrators through the necessary permissions for Early On data entry. 1. 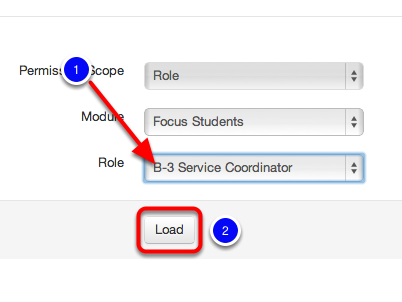 From the drop-down menus select the appropriate Scope and the Module of Focus Students. 1. Based on the selection in the scope from the previous step, choose the appropriate selection from the drop-down. Ensure that the role or user being setup has the appropriate permissions from the above images. Note: This is just an example of the permissions available. 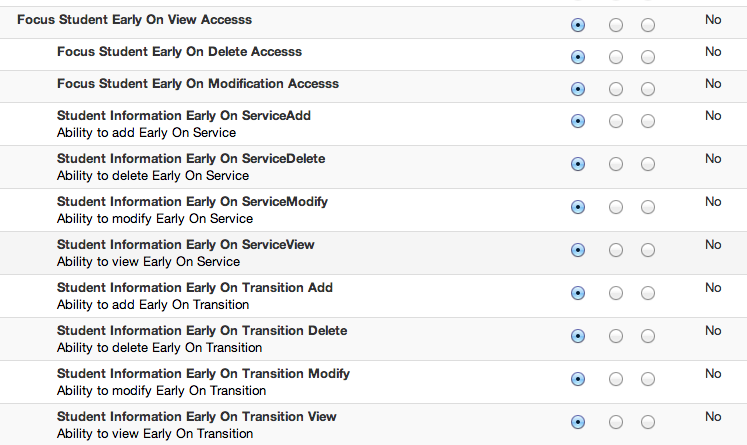 You may choose to grant access to delete, modify, or view these fields as you deem appropriate. Once you have made the desired selections click Save. Upon successful save, any users who are expecting changes should log out of the system and back in before the changes will be realized.